All the essentials for idyllic breaks. A wonderful retreat, wherever your mood takes you. Bringing the great outdoors indoors. Born in Yorkshire... at home anywhere. Your very own country cottage retreat. Making British holidays accessible to all. Where country living and modern life meet. One unique and chic retreat. A real home from home. For the adventurer who loves their creature comforts. Time is precious. Spend it somewhere extraordinary. The holiday home where the sea is never far away. 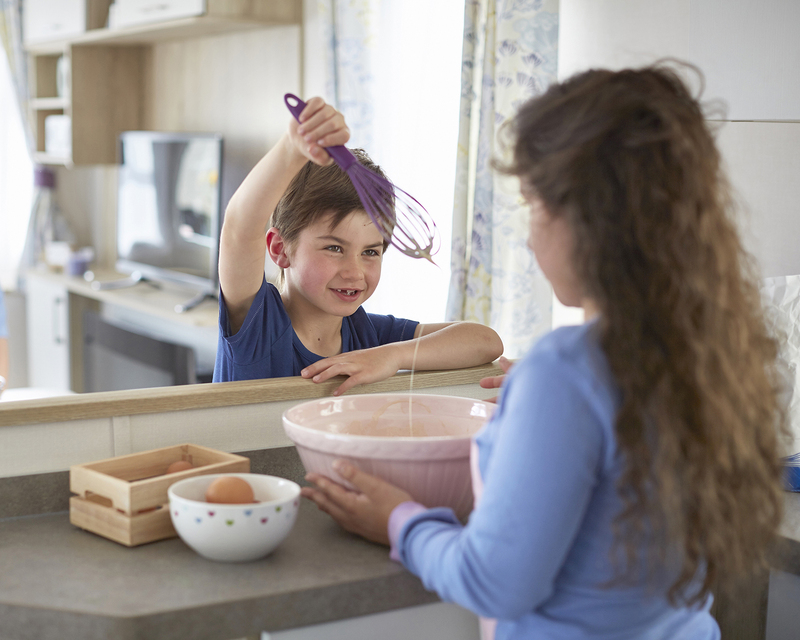 With the nights drawing in, and the air getting cooler, what better way to treat yourself than to a home cooked meal and a cosy night in your ABI? With a spacious and well-equipped kitchen, preparing and cooking a delicious feast is something to look forward to. An externally vented, powered cooker-hood, will keep your ABI fresh no matter what you decide to make. 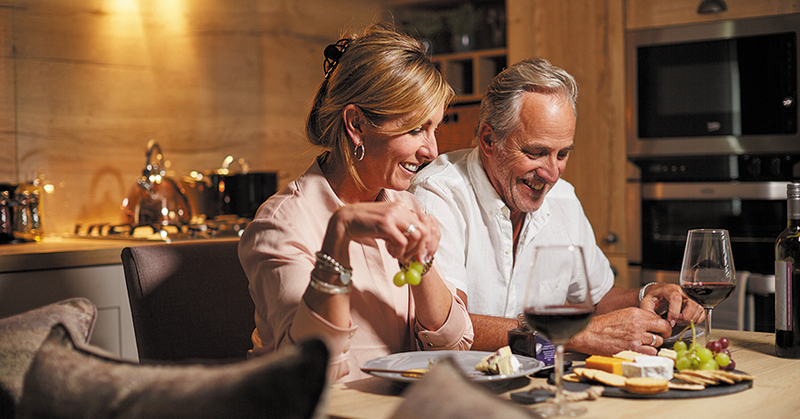 Whether you’re planning a romantic evening in, a get-together with friends, or some well-earned family time, your ABI’s dining area gives you plenty of space to enjoy your meal. For those more relaxed nights in, food and a film in your snug lounge might be what you’re after. First on our list had to be a pie. Britain’s longstanding love of filled pastry has been around since the Roman times – and there is good reason that we have kept up the tradition! Comfort food at its finest, the Steak and Ale Pie is one of the most popular varieties, with a winning combination of steak, your favourite ale, vegetables of your choice, and of course – pastry. After a busy day exploring local attractions, imagine coming home to your ABI for a steak pie supper. 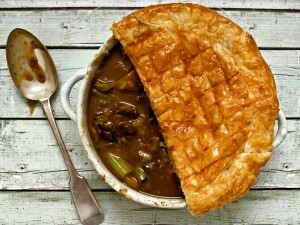 If you prefer puff pastry over shortcrust, then have a go at this Hairy Bikers recipe. Who doesn’t love fish and chips? 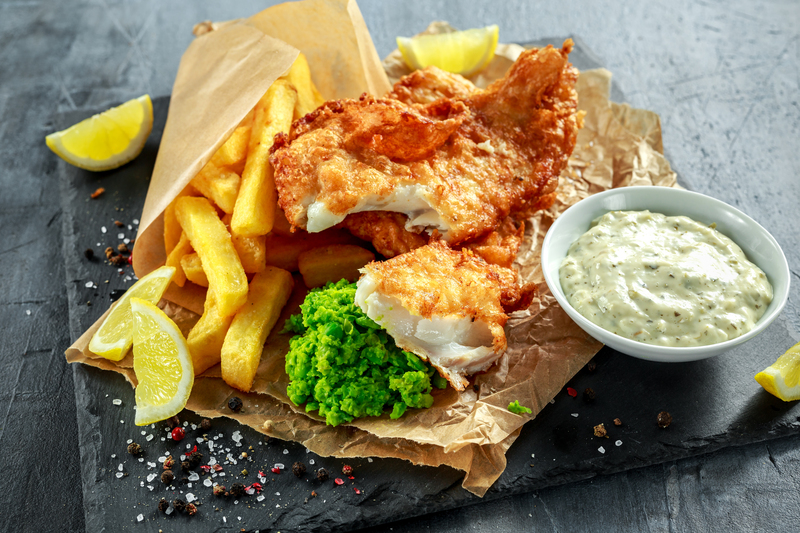 While there may be a chippy near your holiday park, nothing beats being able to cook this British seaside dish exactly as you like. Even if walks on the beach are a little less warm now, keep the chill out with a scarf and a good pair of gloves. It will be worthwhile when you know that, soon, you’ll be back at your ABI, tucking in to some proper homemade grub. Jamie Oliver has a great, traditional recipe, and you don’t need a deep fat fryer to make it. This is a definite crowd pleaser, and is simple and quick to make. 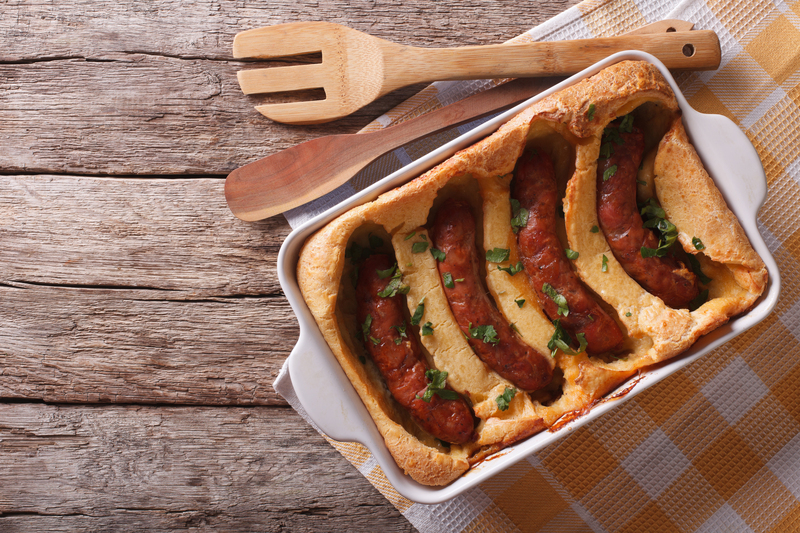 If you have had a busy day out, or perhaps you arrived at your ABI later than planned, then a big Toad in the Hole will go down a treat. Being easy to make, you can even get the little ones to help. Have a read of this recipe, which was written by 7-year-old Sam! Indulgent and delicious, a Sticky Toffee Pudding is the perfect way to finish off your ABI night in. 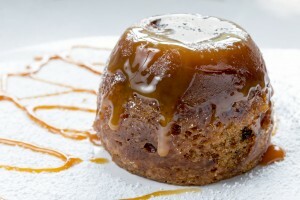 Originating in the Lake District in the 1970s, this steamed sponge remains a British favourite. Pop your feet up, pick a film, and enjoy from the comfort of your sofa. 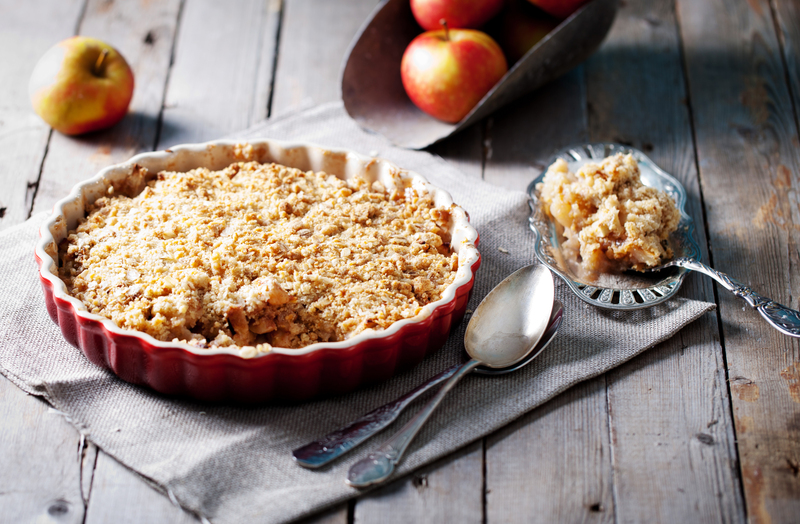 Crumble became popular during rationing in World War Two, and its simplicity continues to appeal. Using traditionally autumnal fruit, and a moreish topping, this sweet dish has remained a must-eat at this time of year. Serve with custard, cream or ice cream, and enjoy sharing this round the table in your ABI. Hugh Fearnely-Whittingstall has a lovely variation that will feed up to eight people. We’d love to see what you have been cooking in your ABIs, so follow us on Facebook, Twitter and Instagram, and you can share your photos.